H Lawrence Sumner’s The Long Forgotten Dream is ecumenical in spirit, honoring and counterpointing Aboriginal and Christian faiths, each under duress. As a child, the now painfully embittered Jeremiah Tucker (Wayne Blair) lost his mother in an accident, his mourning father to alcohol and was consequently denied his Aboriginal culture. His plight is paralleled with that of an older English woman, Gladys Dawson (Melissa Jaffer), a jillaroo and partner to an Aboriginal stockman whom she failed to follow when he was sacked over their relationship. Having abandoned their child, she felt compelled to return to her native country, but her guilt-riven ghost, dialoguing with an angel, returns to Jeremiah’s world. Jeremiah and Gladys are in desperate need of salvation, but while she acts to reveal their connection and erase his pain, Jeremiah is obdurately cynical, fixated on his mother’s death, his hatred for local whites and disdain for Indigenous urban activists and his anthropologist daughter’s retrieval of her great grandfather’s bones from a British museum. When not caustically blunt he is infuriatingly incommunicative, until, constantly pressured to represent his people on the occasion of the return of his grandfather’s bones, he erupts into a tirade, a litany of suffering, that makes shocking sense and with which we are granted the beginnings of empathy. Blair growls and roars with intimidating intensity. Even when Jeremiah can live anew, release coming in the speech honoring his forbear, Blair’s delivery is tautly pitched, fiercely intoned, his grim expression unyielding, as if the need to join the world of family and ancestors can be loudly admitted but is only just able to be spoken. At first I thought it too harsh, a misstep. In retrospect, it speaks to me. It’s salutary to be tested by Jeremiah. Salvation can be a work-in progress. Blair and Jaffer’s performances (not least in Gladys’ desperate struggle to speak to Jeremiah across the dividing line between the living and the dead) render The Long Forgotten Dream an unnervingly powerful work, abetted by Jacob Nash’s country-as-cosmology stage design, Mark Howett’s lighting and composer William Barton’s live performance of his score. The set is a vast open space in which the sky is a huge billowing cloud, rising, falling, becoming one with the earth, folding into eerie three-dimensional Rorschach images and forming a fiery veil inhabited by Gladys’ shadow-play angel. Barton’s otherworldly didjeridu, synth and vocal score and Nash’s set design eschew the use of recognisable Indigenous imagery, which is important for a work in which belief is unformed or fragile. 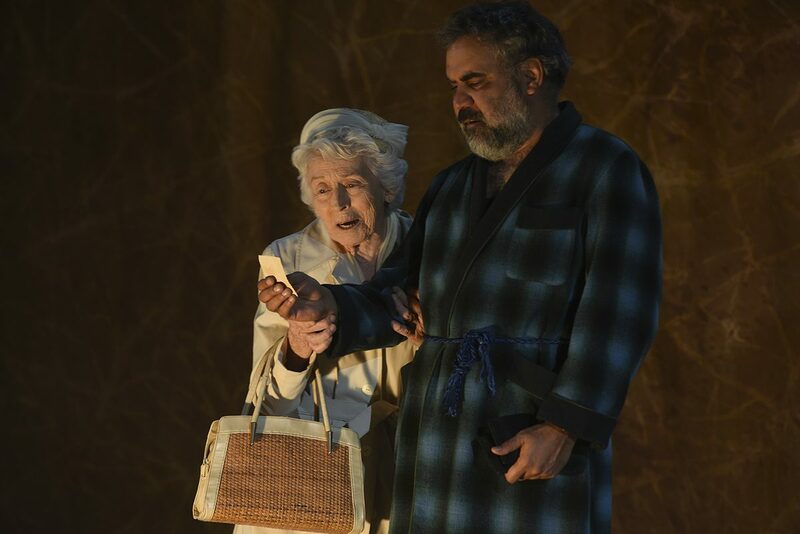 The play’s strengths, however, are severely undercut by lumbering exposition, pallid dialogue alternating with incisively articulated pain and bitter wit, underdeveloped characters, a momentum-stifling intermission and an unnecessary late scene with new characters. The Long Forgotten Dream warrants further substantial crafting. This might be unlikely given the Sydney Morning Herald front-page report of playwright Sumner’s dissatisfaction with a “whitesplaining,” “politicised” production of his play. 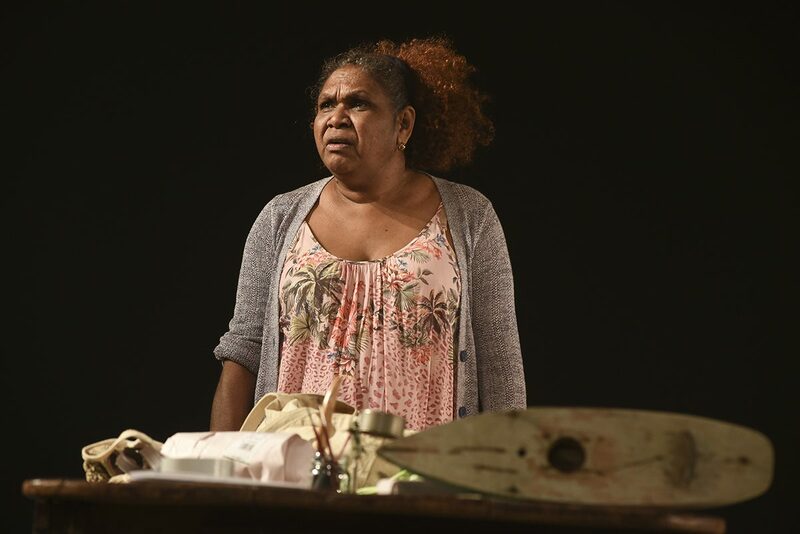 Aboriginal theatre artists came to the support of the Sydney Theatre Company and director Neil Armfield in The Guardian, if simultaneously favouring the development of an Aboriginal national theatre. While a national theatre might not reflect Indigenous cultural and regional diversity (Bangarra Dance Theatre is an interesting case, not national but seen as representative), the sentiment is understandable. Melbourne’s Ilbijerri and Perth’s Yirra Yaakin are the country’s only long-lived Indigenous theatre companies, and this in 2018, long, long after the great emergent artists and works of the 1990s (see Virginia Baxter’s account of RealTime coverage of the period) and since. There have been wonderfully fruitful collaborations between black and white artists over some four decades — from Andrew Ross’s direction of the plays of Jack Davis in the 1980s to John Romeril’s co-writing of Jack Charles v The Crown (2011) and Big hArt’s work with Trevor Jamieson and the Maralinga Tjarutja people on Ngapartji Ngapartji (2005-2010). It hasn’t happened for The Long Forgotten Dream, despite director Armfield’s record of working successfully with Indigenous artists and the involvement of a large number of Aboriginal theatre-makers in this production (Nash, Howett, Barton and all but one of the actors). I can’t concur with the reviewers who fulsomely praised the play and its production while admitting but making little of the considerable faults that deny the work its full potential. 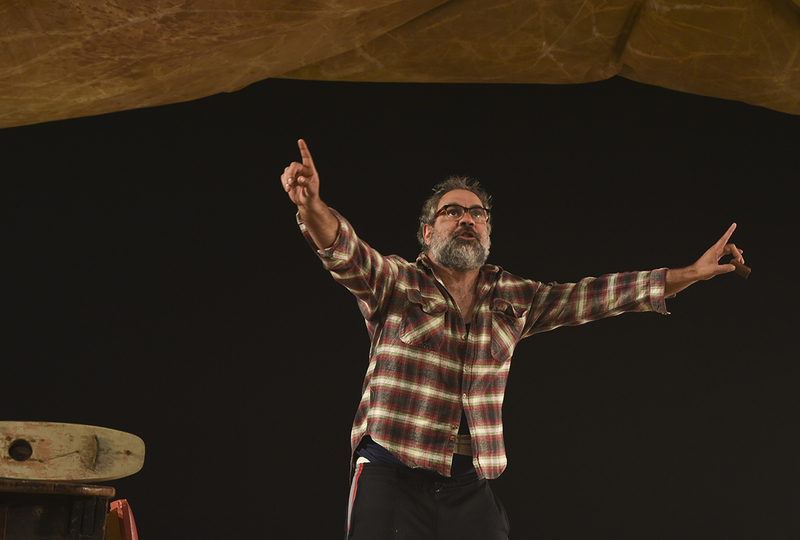 Armfield and the STC have misjudged The Long Forgotten Dream’s readiness for the stage. If the play is to grow, is it likely Sumner will accede to more of what he already sees as interference with his vision and his craft, or has the opportunity for conciliation passed? That would be a pity. Hear arguments for a national Indigenous theatre company and models for it on Radio National’s Late Night Live.